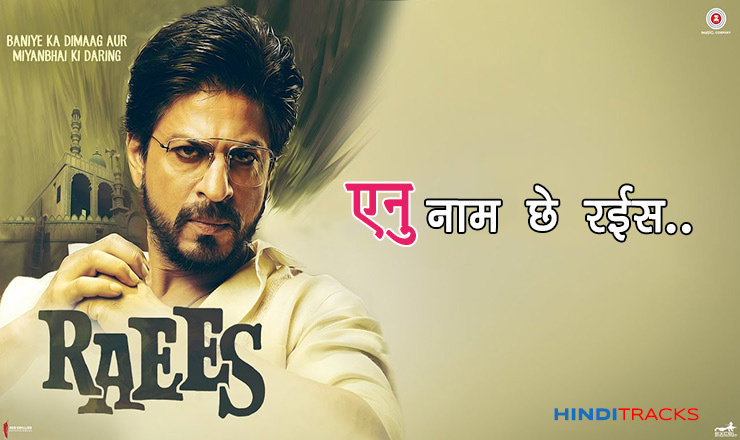 Enu Naam Che Hindi lyrics from movie Raees. The song is sung by Ram Sampath, Tarannum Malik, Music composed by Ram Sampath and lyrics are written by Ram Sampath, Hiral Brahmbhatt. Starring Shahrukh Khan and Mahira Khan.